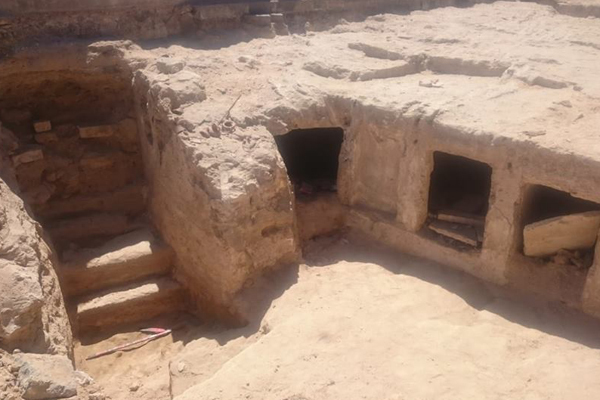 An Egyptian archaeological mission discovered a Ptolemaic necropolis in Alexandria’s western cemetery while carrying out a preliminary archaeological inspection before erecting an iron gate around a workshop at the Gabal Al-Zaytoun railway station in Alexandria. Mostafa Waziri, the secretary general of the Supreme Council of Antiquities, told Ahram Online that the ministry has allocated money for an excavation and to uncover the remaining part of the cemetery. He added that the mission found a collection of rock-hewn tombs with stairs leading to a small hall that may had been used as a resting area for visitors, as well as another open court surrounded by burial recesses. 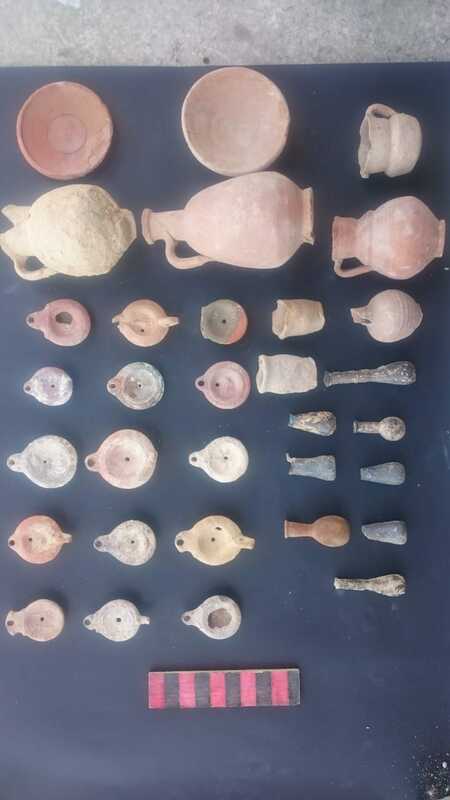 Aymen Ashmawi, the head of the Ancient Egyptian Antiquities Sector, said that the mission also unearthed a collection of lamps decorated with animal scenes and a cistern for funerary rituals, along with a number of clay and glass pots. A collection of skeletons and human bones were also uncovered. 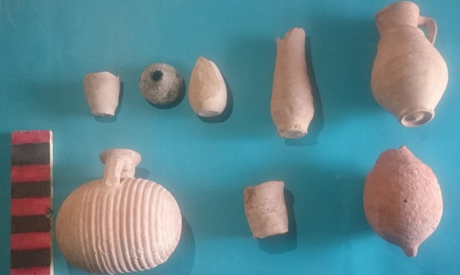 “Early studies show that this necropolis had been used across several historical periods and that it was dedicated to impoverished citizens,” Ashmawi explains. He added that some of the tombs featured coloured and decorated layers of plaster, while other parts were coloured less. Regretfully the tombs are in very poor condition due to a lack of conservation during the British colonial period when the railways were constructed, as well as the deterioration suffered as a result of the military invasion in World War II.